Paul on Paano Nga Ba Gamitin ang BitCoin Wallet? All who are in Financial sector as well as investor is now rejoicing after Fitch Rating upgraded Philippines to Investment Grade. The immediate effect is that blue chips stocks rose before the closing time of today’s stock market. 27 March 2013: Fitch Ratings upgraded the Philippines’ Long-Term Foreign-Currency Issuer Default Rating (IDR) to ‘BBB-‘ from ‘BB+’. The Long-Term Local-Currency IDR has been upgraded to ‘BBB’ from ‘BBB-‘. The Outlooks on both ratings are Stable. The agency has also upgraded the Country Ceiling to ‘BBB‘ from ‘BBB-‘ and the Short-Term Foreign-Currency IDR to ‘F3’ from ‘B’. 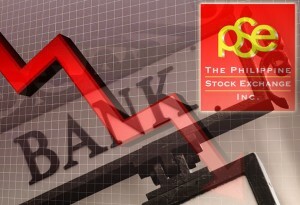 After the red week, Philippine stock market bounce with a 5 day green (positive) day. The agency assumes the Aquino administration will persist with its fiscal, governance and social reform agenda. Fitch estimates trend GDP growth for the Philippines in a range of 5%-5.5%. The ratings incorporate an assumption that the Philippines is not hit by a severe economic or financial shock sufficient to cause a significant contraction in GDP and trigger stress in the financial system. Fitch assumes that there is no materialisation of severe risks to global financial stability that could impact emerging market economies, such as a breakup of the euro zone or a severe economic crisis in China. -A reversal of reform measures and deterioration in governance standards. -Sustained fiscal slippage, leading to a higher fiscal debt burden. -Deterioration in monetary policy management that allows the economy to overheat. -Instability in the banking sector, leading to a crystallisation of contingent liabilities on the sovereign balance sheet. As long as the above assumption will be maintained by Philippines, we will be seing a good economic growth of the Philippines. Again I believe that it’s time to invest. Filipinos should start being financially literate. 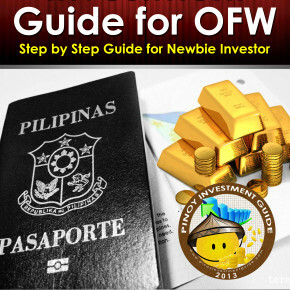 © 2010 Pinoy Investment Guide. All Rights Reserved.